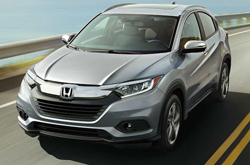 With its gorgeous style, exceptional performance capabilities and quality features, the 2019 Honda HR-V is a strong contender in the subcompact crossover SUV market. In fact, the HR-V has been a top choice for SUV shoppers since the model was originally introduced in 1999. Because the HR-V benefited from a major facelift recently, there are minimal changes between the 2018 and 2019 model years. If you are preparing to take home a smaller SUV soon, it makes sense to take a close look at the new HR-V and to compare the thoughtful variations in the trims before you finalize your purchase plans. Throughout the interior and exterior, the HR-V is appointed with quality features that improve your driving experience. Standard and optional features vary across all five trims, and these include the LX, Sport, EX, EX-L and Touring options. Regardless of the HR-V trim that you decide to drive home in today, your SUV will have a folding rear row and passenger seating for five people. Despite its small exterior dimensions, there is a surprising amount of passenger and cargo space to accommodate a variety of your needs. Many of the features found in the base LX trim are also loaded into advanced trims. Some of these features include sport pedals, power windows, an auto-dimming rearview mirror, power door locks with a speed-sensing feature, cargo tie down latches, a push-button ignition, remote keyless entry, advanced air filtration with the climate control feature, steering wheel-mounted sound and cruise control buttons, speed-sensitive volume control, several auxiliary ports, front and rear USB ports, a 5-inch infotainment screen in full color, HomeLink, a universal remote transmitter, Apple CarPlay, Android Auto. Opting for a superior trim gives you a power liftgate, auto on-off headlights, LED brake lights, a modified rear spoiler and a few additional features. 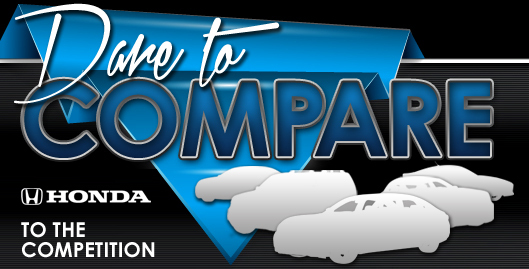 We are available to tell you more about differences between the trim levels during your test drive appointment. 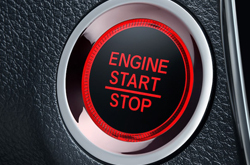 While you understandably want to purchase an SUV that is loaded with incredible features, you also want it to offer sporty, powerful performance on the road. With its well-designed mechanical and powertrain features, the 2019 HR-V will not let you down in this area. You will enjoy up to 141 horsepower from the I4 powertrain. This powertrain uses regular unleaded gas with multi-point fuel injection. Several additional features combine to create a smooth ride around town. These include power-assisted front disc and solid rear disc brakes, a rear torsion beam suspension, a front MacPherson strut suspension, all-season tires, electric power-assisted steering, an electric parking brake, hill start assist, automatic brake hold and stabilization bars for the front and rear. 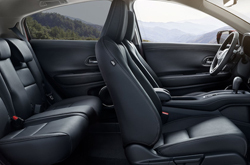 In addition, active noise cancellation and intelligent all-wheel drive are options available upon request. Protecting yourself and your passengers may be a top priority, and the 2019 Honda HR-V has the passive and active safety features that you need. For all trims, the 2019 HR-V is equipped with advanced traction control, LED daytime running lights, electronic brakeforce distribution, tire pressure monitoring, anti-lock brakes, a rearview camera with dynamic guidelines, vehicle stability control, a protective ACE body design, numerous advanced airbags, a front passenger airbag sensor with deactivation, a rollover sensor for the curtain airbag, braking assistance, front seatbelt pretensioners, child safety seat anchors, three-point safety seat belts in both rows and rear row child door locks. 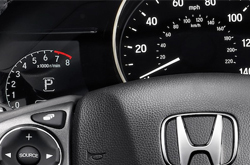 Honda Sensing technology is available in higher trim levels. This technology includes a forward collision warning with mitigation, a road departure warning with mitigation, a lane departure warning with mitigation and adaptive cruise control.